With the seemingly unending spate of British musicians going through North America's musical turnstile, you'd think that the man who helped whet listeners appetite for bands like Oasis and Coldplay wouldn't have let over three years pass between his sophomore release, "Human Conditions," and his days-old, "Keys To The World." 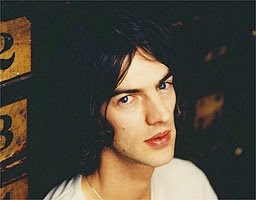 But Richard Ashcroft has been busy doing, well, grown up things. "There was no premeditated idea to stay away for so long," he says over the phone from Gloucester, England. "It was more like, now there's kids around, my son's going to school. And after I had written some songs, there was the whole process of finding the right people to work with and the right place to do the record. "But I think it's good," he laughs. "If you've got an opportunity to take some time off from this mad world, it's worth doing." Since his solo debut in 2000, Ashcroft has been fending off critics who proclaim his best work was with now-defunct '90s psych-pop behemoths, the Verve. But when it came time to record "Keys To The World," the 34-year-old singer-songwriter found himself digging through old Beatles records for inspiration. "Before I started, I was listening to albums like 'Revolver' and 'Rubber Soul' and I realized that sonically those albums are different track by track," he says. "Each song has its own universe and I was encouraged not to be afraid of that. "Likewise, 'Urban Hymns,'" he says in the first of several nods to the Verve's 1997 masterpiece, "is an album where each track exists in its own right. And the thing that bonds these kinds of records together is the soul of the singer, the narrator. He is the musical glue holding it all in place." He's embraced his past success. Heck, he doesn't even bristle when asked what he thinks about all the Verve questions that are lobbed his way. "It proves the songs that I wrote during that period were so strong. If those songs hadn't been strong, no one would be talking about them." Ask Ashcroft about a reunion though, and you'll hear the following: "You're more likely to get all four Beatles on stage." And he does have a barb or two ready for critics determined to question artists' ongoing creativity. "Everyone telling you that everything's been done, and all the great stuff has happened and the words have been said; if I had listened to those people, then some of the stuff I've done now would never have come out." Ashcroft, who got a big, whooping introduction back into the musical spotlight at last summer's Live8, where he sang "Bittersweet Symphony" with Coldplay ("To have thousands of people smiling, singing, 'You're a slave to the money and you die,' in itself was an incredible thing," he allows), says his latest record is very much an extension of the musical ideas he's toyed with on earlier releases. Only this time, his sounds are much more concise. Declaring that he wanted to cut away any "flab" leftover from his experience making 2002's "Human Conditions," Ashcroft says he got turned on to the idea of making his latest disc in the old tradition. He recorded some of the songs at a studio in London using a vintage EMI Desk that the Rolling Stones had used. Reel-to-reel tape recorders captured some of the takes, with Ashcroft bellowing his trademark sinewy vocals through antique German mikes. The whole thing being very "Nashville." "In a way, I'm a very old fashioned guy," he says. "I believe in the whistle test. I want to make music that is someday talked about as having unified all styles and genres like the Beatles did. "'Urban Hymns,'" he pauses, "took listeners somewhere else. Now I'm not scared of my own history, but I think 'Keys To The World' has been an opportunity to get over some of my own inner feelings. I'm beginning to form my own sound that isn't just a snapshot of one year in the history of rock 'n' roll." Though he says he likes music that's got "dark undertones," Ashcroft wants listeners to feel joyous at the same time. "This is somewhere new," he says. "It's a balance between a gospel kind of music where you want to raise your hands, and the country-blues tradition of being very straight to the bone. "I hate empty sullen gestures that offer no light. As a songwriter, it's difficult to look out the window and not think about wider issues and where that will lead my family and me. I'm not the same nihilistic kid, and I think that's reflected in my music." The harpsichord-infused "Break The Night With Colour" features the singer wondering melodiously how to crack through self-pity. Flecked with the same perky coos as the Ashcroft-penned, "Space And Time," he sings about breaking through desperation: "Fools they think I do not know, the road I am taking/ If you meet me on the way, hesitating/ That is just because I know which way I will choose." Raging horn and percussion stomps announce the manic, "Why Not Nothing? ": "I ain't got time for your politics/ All your masquerading Machiavellian tricks, goodbye/ You know I ain't got the time." But the album's best gems are its American influenced ones: the Curtis Mayfield-sample that imbibes "Music Is Power" with soul, the rock-string-synth feel of "Simple Song," and the near-Dylanesque vocals of the rockingly symphonic "World Keeps Turning." Having churned out material that he can't wait to belt out live, Ashcroft, who will open for Coldplay during select North American dates in March, is happy to be crossing the pond with "some friends." But he's especially pleased to be back in Canada. "I've always had a strong bond with audiences there." 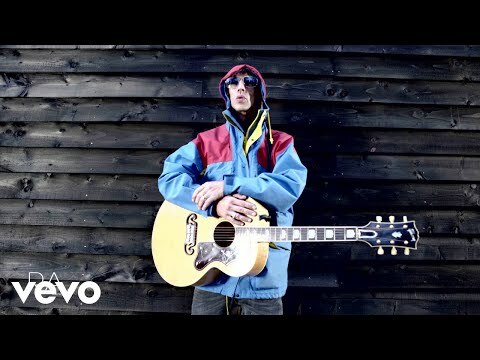 The record's title will undoubtedly have some people wondering whether Ashcroft is borrowing moves from the bragging Gallagher brothers (whom Ashcroft tapped to open for the Verve in the mid '90s), but the story behind "Keys To The World" is part sketch-comedy, part philosophical revelation. "I was vacationing with my wife in Rome and didn't realize that I was seemingly a big star," he says. "Walking past a hotel where Leonardo DiCaprio was staying, all of sudden I found myself pursued by this stampede of people. So I jumped into a shop and found myself upstairs in the shoe section and I remember looking down on the street thinking, 'I've got the keys to the world for the first time in my life, and what am I doing? I'm stuck inside a shoe shop.'" Richard Ashcroft appears with Coldplay at Ottawa's Scotiabank Place, March 17, and Toronto's Air Canada Centre, March 22 and 23. "Keys To The World" is in stores now.